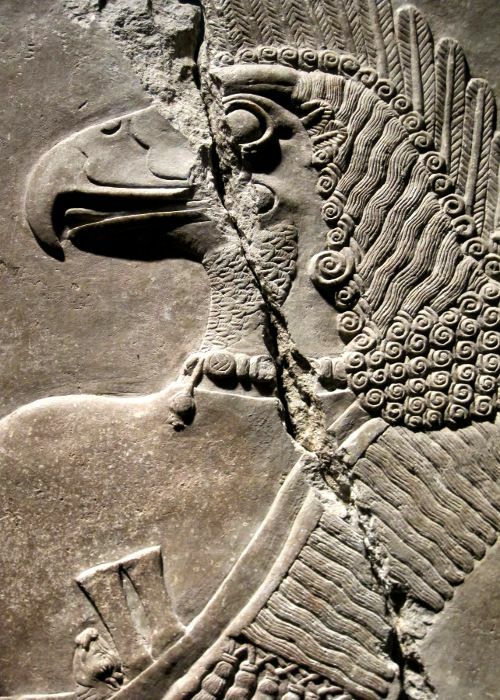 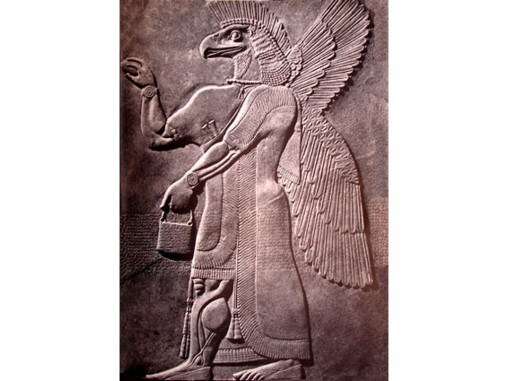 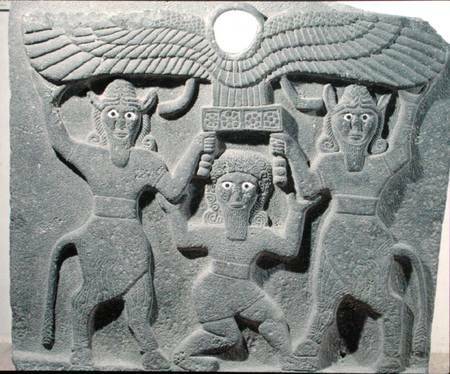 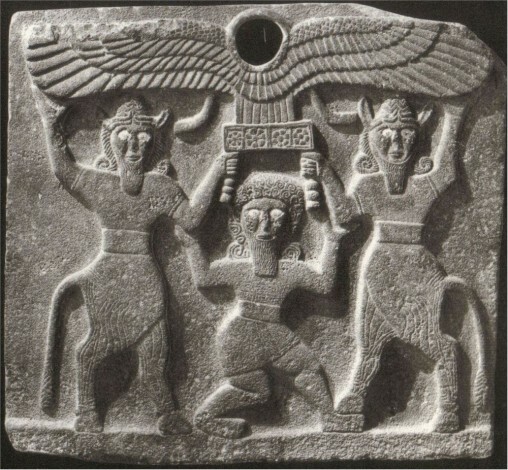 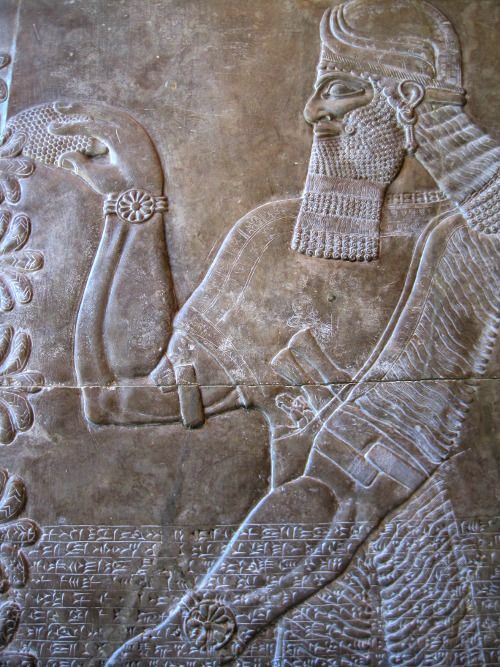 This picture allows you to see the full stone relief of Gilgamesh and the two bull-men holding the winged sun disk. 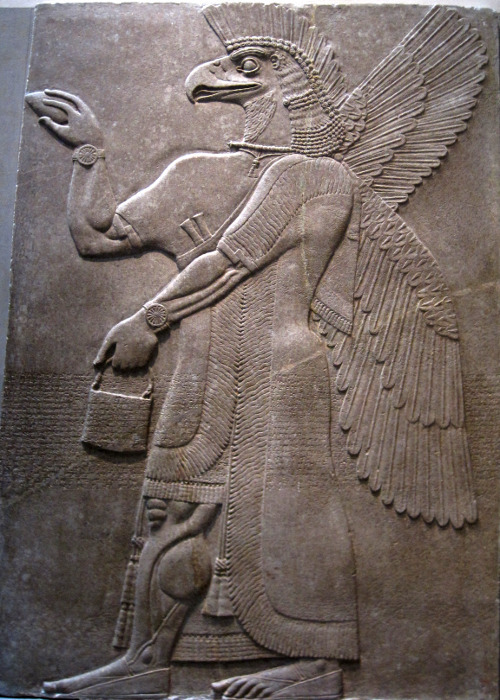 This relief shows Nisroch, the god of agriculture, who was also mentioned in the bible. 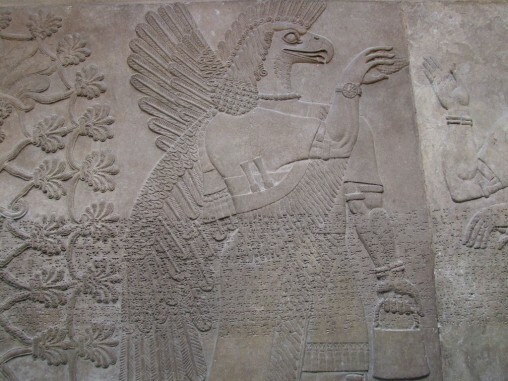 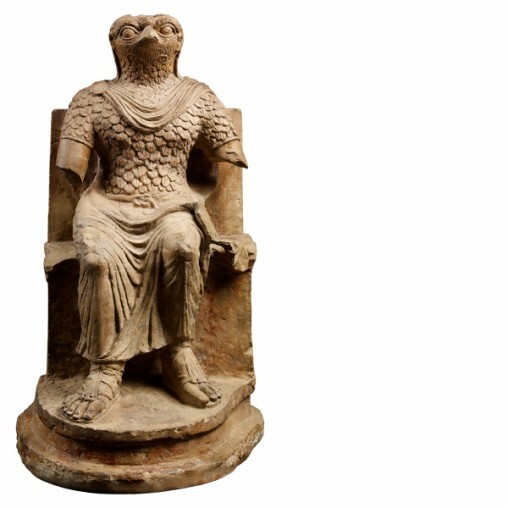 Nisroch was sometimes depicted with a human head instead of the head of an eagle. 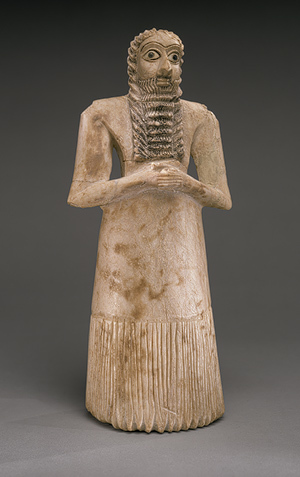 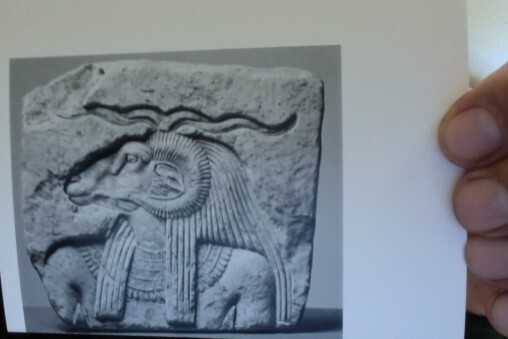 Ram God sculpture in soft stone wearing a headers and pectoral plate. 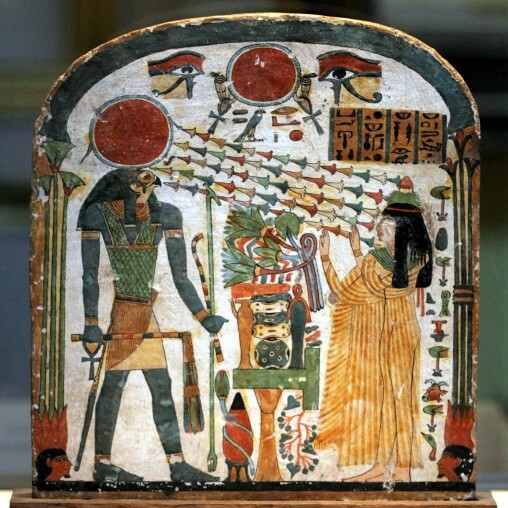 The body is facing forward and the head is facing to the future.